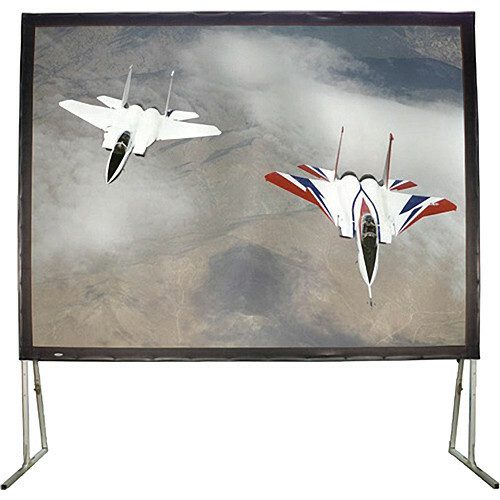 The Hamilton Buhl 135" Diagonal Easy Fold Portable Screen with Carry Case manufactured by Buhl Industries is a suitable large-venue projection screen with a format of 4:3. The Easy Fold Portable Screen is designed to set up in just a few minutes. It features matte white front projection fabric and mounts to a sturdy aluminum frame with reinforced legs for added safety. This easy-to-fold screen includes a carrying and storage case. The overall dimensions are valid when screen is at the highest position. Box Dimensions (LxWxH) 49.6 x 19.9 x 15.0"